At Golden West they offer guidance on their clients' financial needs, and they develop lasting relationships founded on shared values and a complete understanding of their clients' goals. Their team of financial professionals have the skill set to tackle complex issues and deliver a clear, precise solution. Golden West's team of professionals pride themselves in building hand-crafted solutions that range from Investment and Risk Management, Estate & Succession Planning, Education and 529 Planning, Life Insurance Strategies, Alternative Investments, Financial & Retirement Income Planning. 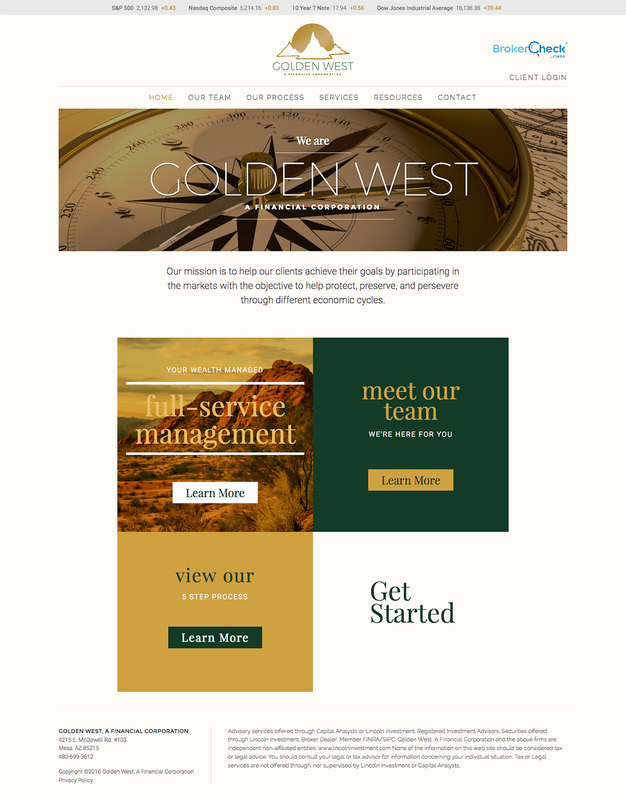 Golden West Financial needed assistance in developing a new fully responsive website utilizing a Drupal CMS to truly showcase their professionalism and level of expertise. Rapid Web Creations continues to support Golden West Financial through website maintenance, new functionality and content creation. We are proud to a trusted partner of Golden West Financial and continue to support them in all their website development needs. We truly believe in the principals and processes of Golden West Financial and have recommended them to many family and friends. If you are in the market for strong financial advice and representation click the link below to learn more about Golden West Financial.